Whether in laboratories, in the food industry, pharmaceutical industry or research, simply everywhere where there are needed special environments or clean rooms for the production or research an interlock control system is necessary. 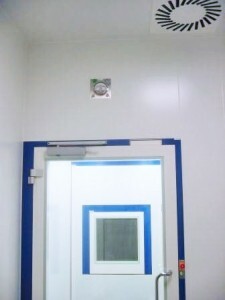 It controls the possibility to enter certain rooms in dependence of other doors. 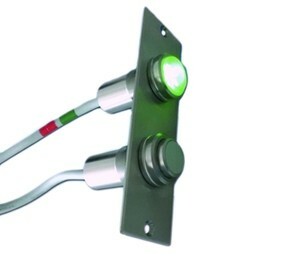 Peripheral system: The control boards where the relations between the doors are adjusted, are situated directly in the control terminals of the respective doors. 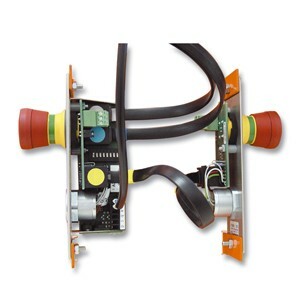 Central system: The control boards are combined in a central casing. On the doors are mounted just simple operating terminals. Ex-proof system: Special execution of the central system for hazardous areas. Outstanding feature: the ex-proof terminals are as small and optically attractive as the “normal“ operating terminals. 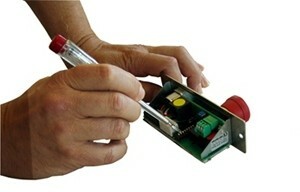 Switch box version: The components of the terminals are mounted in an off-the-shelf switch system. Used with central controller, electric connection to be provided by the customer. What makes the DICTATOR interlock control system so unique? You need no knowledge of computer science or a complex PLC control system to adjust the relations between the doors. The “programming” consists of adjusting simple DIP switches. 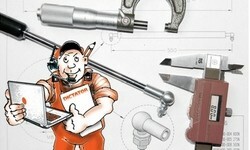 At any time it can easily be modified by instructed persons (without special computer knowledge). With the peripheral and central systems all intra-system components are pluggable. For most connections are used flat cables with RJ45 connectors. All cables and their corresponding plug-in-positions are colour-coded so it is nearly impossible to make errors during connection. Even the power pack for supplying the components has a connection cable with safety plug and hasn’t to be opened even for mounting. Simple installations can therefore be mounted without needing specialists. The system has a modular structure, i.e. it is extremely adaptable and flexible. The interlock control system can easily be linked to a facility management system and many special functions are possible, too. Among these are for example a time control unit to time the clearing of doors (e.g. only after a certain temperature or quality of the air has been achieved), the possibility to integrate and control door operators of different makes, to realize discretion circuits, to assume commands from a facility management system and much more. The DICTATOR interlock control system has also available an approved emergency exit terminal to integrate doors in emergency exits – of course meeting all corresponding requirements.